View More In Mailbox Numbers. Figure:Letter D Smedbo: Step into your own oasis.Purveyor to His Majesty the King of Sweden, Smedbo is revered for its ability to create luxurious exterior as well as interior hardware. Smedbo invites you to experience tranquility from the first moment your home comes into view. 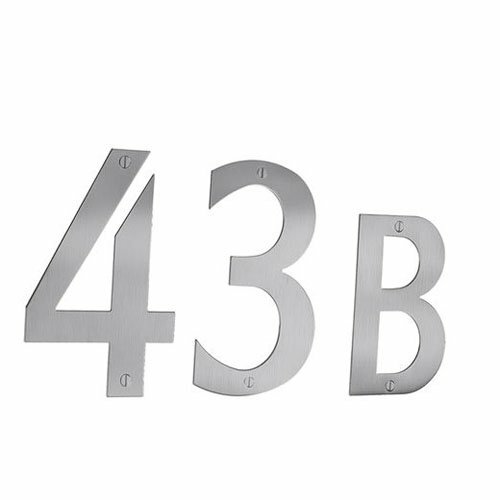 Stainless Steel Mailbox Figures are available in numbers 0-9 and letters A-D; please see options to select. Crafted from 100% solid brass. Polished and lacquered with a high transparent epoxy for a flawless finish. Height of letters: 1 '. Height of numbers: 2'. Bolts, nuts, and wood screws included. If you have any questions about this product by Smedbo, contact us by completing and submitting the form below. If you are looking for a specif part number, please include it with your message.